I love Manhunt, it ranks up there as one of my all time favourite videogames. I usually hate stealth in games, but here it is deliciously good. 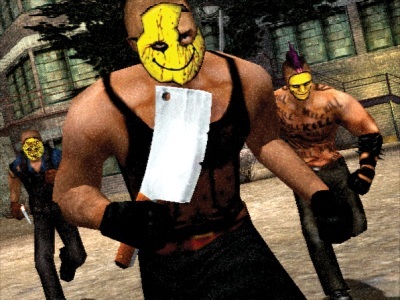 The game is a grim, violent, and miserable game to play, and also very unique. 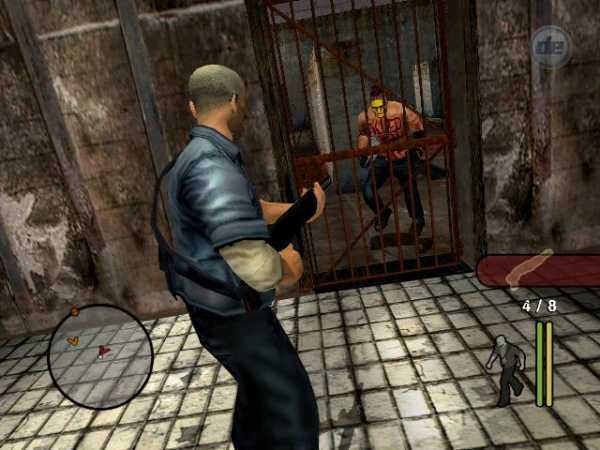 You play as convicted murderer James Cash. The game starts with your apparent execution via lethal injection, but rather than kill you, you wake up in a morgue. A voice over a intercom informs you that your life has been spared, in return you have the 'honour' of starring in the ultimate snuff film. The mysterious voice tells you to put on a ear piece. For the remainder of the game the Director instructs you via the ear piece. He says that if you survive the filming, and get lots of brutal and violent kills for his film that he will let you go. The game is very very violent. It mostly involves you sneaking around various locations using stealth to take out gang members one by one. Each weapon you get has 3 different brutalities, the longer you are sneaking up to an enemy the more violent the kill. 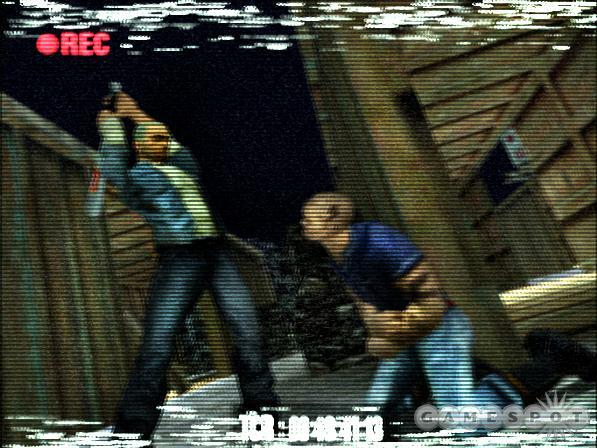 For instance the low level baseball bat kill sees Cash strangling out a thug using the bat, the high level baseball bat kill sees Cash bring the thug to his knees before taking off his head with a wild swing of the bat. The kills are automated, and shown from the perspective of a surveillance camera (these are dotted around the various locations Cash finds himself at). As well as melee weapons such as the baseball bat, and crowbar (which Cash jams in thugs heads!) there are also single use weapons such as glass shards, and plastic bags (the glass is stabbed repeatedly into the thug, while the bag is used to violently smother the victim). Later levels see the introduction of guns, but these do not have brutalities associated with them. Each set of levels sees you in a different area of the violent Carcer City. Each location is ruled over by a different gang. For instance the Scrap Yard sees you avoiding a White Supremacist gang, the Zoo sees you fighting a gang of Survivalists, while the lunatic asylum sees you battling a gang of yellow smiley masked wearing crazies. Each gang is vastly different in looks, as well as in what they say. All really want to hurt you badly, they taunt you, and scream at you, coming across as fierce and scary. Stealth is key as when you are seen death usually quickly follows unless you are able to get to the shadows and hide. Later missions include Police as enemies, which could seem controversial, but they are never shown as anything other than completely and utterly corrupt. The best thing about this game is just how classic it feels. 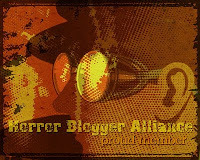 The plot itself is like something out of an 80's action flick such as The Running Man. Cash at first forced to participate in the Directors sick dream later escapes, ending in a brutal showdown at the Directors heavily defended Mansion. Cash himself is not a nice character. It is never made clear if he really was a murderer, but it heavily implies he is a bad person deserving of death. His family show up in the game as captives that Cash is instructed to rescue, but there is no love displayed by his parents and sister towards him when he rescues them. The Director is amazing as the constantly taunting voice, something which 'Batman: Arkham Asylum' copied with the Joker serving a similar role. The only sour point of the game unfortunately is the very end, not satisfying at all. The game is moderate in length, and varied enough to never get boring, each location offering new challenges (such as the introduction of guns about halfway through the game which totally changes the pacing of the game at times). 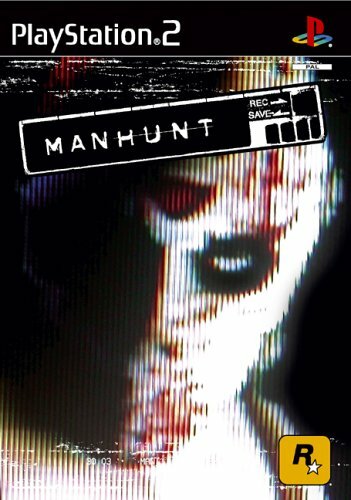 I have Manhunt 2, but due to the totally ruined death sequences, and lame story I have not yet played it to completion.